SECOND World War veteran and former prisoner of war George Irwin was devastated when his third eldest son was killed in the line of duty as a police officer in 2003. But the memory of Senior Sergeant Perry Irwin continues to lives on with the recent commissioning of a new water police boat, named in his honour. Snr Sgt Perry's was fatally shot while responding to an incident in Caboolture on August 22, 2003. "Perry never saw the bloke - he was dead before he knew what happened," Mr Irwin said. The 98 year old said the loss of his son was the second heartbreaking blow for the Irwin family, after he lost his wife and the four boys lost their mother to breast cancer when Perry was about 12. 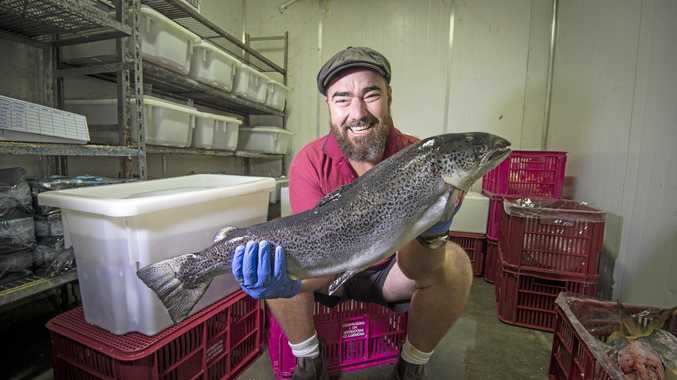 Suddenly in charge of the whole family, Mr Irwin worked long hours at his one-man butchery in Brisbane to provide for his family. "I would say that Perry learned to become self-reliant and dependable at an early age," Mr Irwin said. "He grew to be a steadfast man with a soft heart but an iron will and gritty determination." 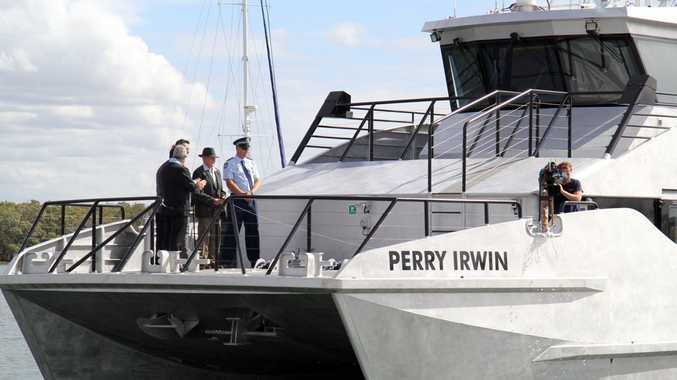 The Perry Irwin vessel is the first of three, 24m catamarans to be built for the Queensland Police Service and will be sent to Cairns to replace the recently decommissioned Russel A Wilson. Police Commissioner Ian Stewart said the vessel would have multiple roles in its lifetime. "They will be deployed as mobile command posts in disasters and major events, as Search and Rescue platforms and as floating police stations," he said. "The vessels are fitted with modern electronics and will significantly enhance the capability of the Water Police. "They are designed for police officers to stay at sea for extended periods for patrol and other duties." The naming of the vessel has come 11 years since the death of Senior Sergeant Irwin. "(It) is a very proud but sad day for the Queensland Police Service," Commissioner Stewart said. "Perry put on a beautiful day for us. "He was a great leader and a good bloke - he will be keeping Queenslanders safe on the water." Mr Irwin said the family had been proud of Snr Sgt Irwin both as a boy and as a man. "And now to see him remembered with an honour such as this brings pride of him beyond my powers of description," he said.